SNV Netherlands Development Organisation is a not-for-profit international development organization founded in the Netherlands more than 50 years ago. It has built a long-term, local presence in 38 of the poorest countries in Asia, Africa and Latin America working with local partners to equip communities, businesses and organizations with the tools, knowledge and connections they need to increase their incomes and gain access to basic services – empowering them to break the cycle of poverty and guide their own development. Using market based approaches; SNV is committed to reducing poverty by catalysing environmentally sustainable solutions for the poor in agriculture, energy, water & sanitation, and climate change. 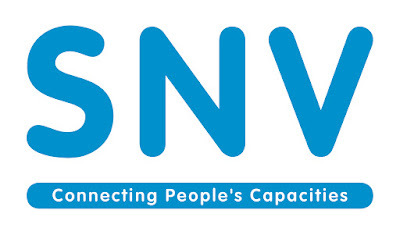 To support its operation, SNV is now seeking highly qualified national candidates to fill the position of Finance Officer to be based in our Jakarta Office. The FO is to check, execute, consolidate and report on financial and non-financial data in the country and budget project administrations, advice Management on Financial Management, ensure the stability and transparency of the overall country finances, including project finances in order to be compliant with SNV’s Business Development, Finance and HR policies and procedures as well as donor procedures, regulations and guidelines. If you believe that your credentials meet the outlined profile, we invite you to apply by sending your CV and a description on how you meet the candidate profile (in English) to jobsindonesia@snvworld.org before 28 February 2017 with “Finance Officer” as email subject.